This is a must have nail cutter for people with Thick Nails, Chiropody Nail Injuries. It is a easy and comfortable tool for any type of nail cutting. Metal cutting clippers for added durability. Professional Surgical Chiropody Heavy Duty Toe Nail Clipper. 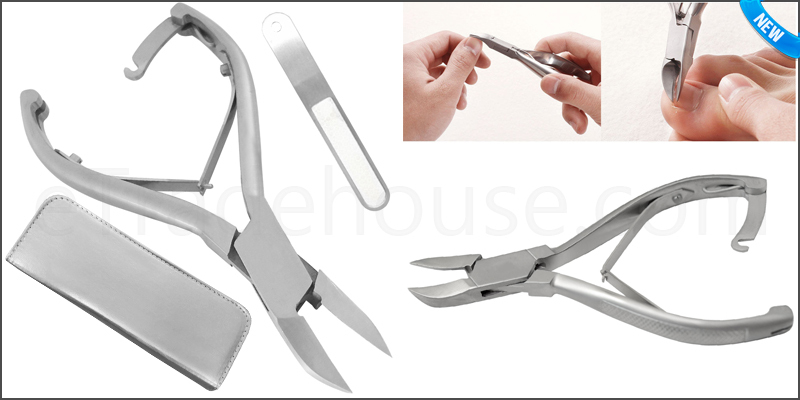 Stainless Steel Toe Nail Clipper. Helps to grow your Straight Nails. Comes with a High Quality Nail File. Free Leather Pouch for easy storage. 1x Professional Toe Nail Clipper with Nail File and Leather Pouch.